Triangular Contest between Gul Panag, Kirron Kher and Pawan Bansal for Chandigarh Loksabha Seat. Who will Win? For 2014 Loksabha Election, we are going to witness a great fight for Chandigar Loksabha seat. Here we will see a triangular contest between Gul Panag of AAP, Kirron Kher of BJP and formal union minister for Raliway Pawan Bansal. Pawan Bansal is only an experienced politician among Kirron Kher and Gul Panag. 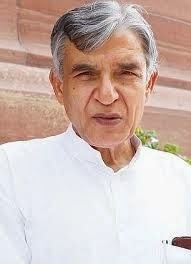 Pawan Bansal won Chandigarh Loksaba seat for four times; therefore, we can say he knows Chandigarh and people of Chandigarh very well. On the other hand, Kirron Kher and Gul Panag are known names of Glamour world and both are related to Chandigarh well. Gul Panag studies masters in Political science from Chandigarh University. 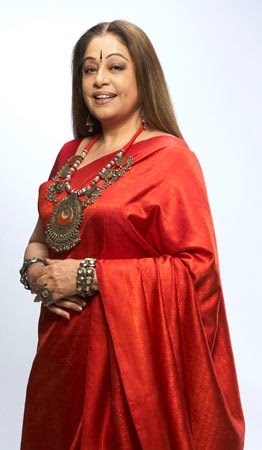 Kirron Kher spent her earlier life in Chandigarh and she basically belongs from a Sikh family. Like Gul Panag, Kirron Kher too got her education from Panjab University, Chandigarh. With the announcement of the names of Gul Panag and Kirron Kher, the Chandigarh Loksabha seat has become a matter of debate. These days people are busy with predictions of who will win Chandigarh Loksabha seat. At the end of the day, whoever may win in Chandigarh, but one thing is clear that Chandigarh Loksabha seat will remain talks till the results of Loksabhe elections are announced. Now it is to be seen that double dose of glamour will help AAP and BJP to win Chandigarh Loksaba seat or it will help Congress to retain the Chandigarh seat. There is no doubt that all three candidates are strong with their followers and we will witness a tough fight for Chandigarh seat. Pawan Bansal is likely to face anti-incumbency factor and rival parties will promote last year's bribe incidence involving his nephew. Therefore, we can expect decrease in numbers of votes for Pawan Bansal this year. However, one factor is in his favor that is presence of two strong opponents. Both Gul Panag and Kirron Kher are strong candidates; therefore, votes against Pawan Bansal can split into both these candidates; thus giving one more chance to Pawan Bansal. Still, Elections are in campaigning phase and people are making their mood; therefore, we see many changes in trends till the voting day. It greatly depends on the election campaigns of these candidates to win the Chandigarh seat. All three candidates have an almost equal opportunity to win the election, now on it is their and their parties approach will decide their success or failure in the election.